How often do you ask yourself, “What the….?? ?” during the workday? Or do you get stuck wondering who you can go to about a sticky situation in the office, for help with your career, or for advice on your work life? Well look no further! 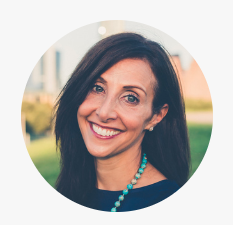 I’m thrilled to finally be able to tell you more about Real Job Talk – a great new bi-weekly podcast I co-host with my friend and fellow seasoned HR and recruiting consultant, Liz Bronson. We’ll dive deep into these types of subjects – nothing is off limits – with practical solutions and advice, while we work to help you get unstuck from whatever you are struggling with. With a wide range of interesting guests and timely topics, you’ll find both support and useful information to help you along your career journey. We hope you’ll join us! Episode 1: Careers, jobs and recruiters – what’s this podcast all about? Meet the hosts! Guest MC John Mark Troyer interviews both Liz and myself, about our backgrounds and what this podcast is all about – jobs, careers, and what doesn’t get said at the water cooler. We talk about our backgrounds, including stints as both in-house and independent recruiters, HR professionals, career coaches, and entrepreneurs. John then led us on a lightning round of questions he has about getting a job and working with recruiters. We briefly cover mentorships, applying to everything you see, job descriptions, compensation, leaving a job quickly, the role of recruiters, counteroffers, resumes, cover letters, and why a company goes silent in a job search. In episode two, we talk about finding a new job. So you’re looking…first of all, are you sure you want to jump? There may be advantages to staying. Next, do you know what you’re really looking for in a job? It’s a good time to take a good look in the mirror and talk to your informal board of advisors. What kinds of patterns do you have in your job history: Which jobs did you like? How did they play to your strengths? How did you find them? What is your life like now – can you handle a commute? Travel? What patterns do you tend to repeat, for better or worse? It’s also a good time to know what you want. What kinds of companies do you like to work for? What sizes, what cultures, what locations? What kinds of values do you want the company to have? What benefits aren’t important to you? Now that you know what you want, you need to prepare. What does your resume look like? LinkedIn? Professional outposts like blogs or GitHub? Is everything polished, cleaned up, and up to date? And now as you start to ramp up your connections with your professional network – how do you manage that? And what about your personal network outside your professional life – does that come into play? One thing is clear – you are not going to find that job quickly if you stay at home. Remember, though, that you will need patience and it’s going to be a vulnerable period of time where you need to take care of yourself! You have to keep the end goal in mind. Get your elevator pitch ready, but make sure it’s crisp, and that it is not too negative! Most of the work going into finding a new job starts before you ever send out a resume. Finding a job can be tough. Remember to be kind to yourself, to keep your eye on the target, and that every interview is one closer to your offer! Episode 3: You got the interview…now what? In episode 3, Liz and I talk about how to prepare for a job interview. What do you do to get ready to go in and meet with a hiring manager, recruiter or team? Should you ask questions? Should you have examples ready? How do you study before the interview? What do hiring managers want to hear from you? How do you talk about your accomplishments without bragging? What are red flags you want to avoid? 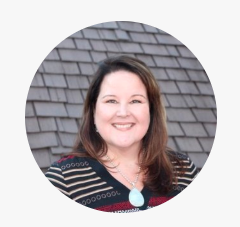 With over 15 years of recruiting experience, working with both established and start-up companies, Liz is confident in her ability to help companies find the right people, and build the right processes to build their business. Liz uses a personalized approach to both candidates and clients in order to find the right matches while keeping a laser focus on candidate experience. She coaches hiring managers throughout the engagement to keep the search moving forward and to make sure that the offer is something that will put the candidate’s needs first. You can find out more about Liz’s work here. I am a consultant, coach and trainer. 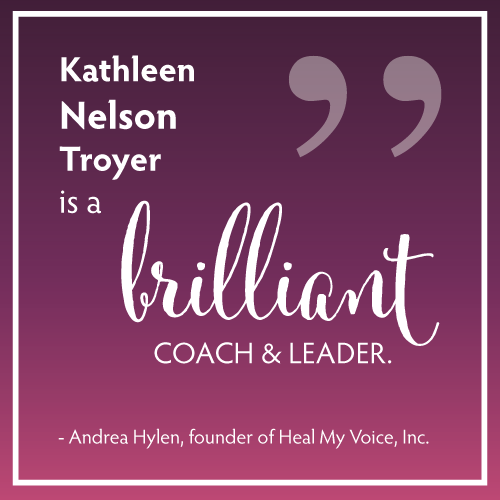 KathleenNelsonTroyer.com serves as home base for my personal one-on-one work with clients, group coaching and training programs, and fabulous retreats.